If I could pick one word to describe my reaction to trialling the newest nappies to hit the market - Treasures Nappies - it would be nervous... You see I am a Huggies type of Mum, through and through. I have tried nearly every single brand on the market and the results are always the same - a messy disaster! 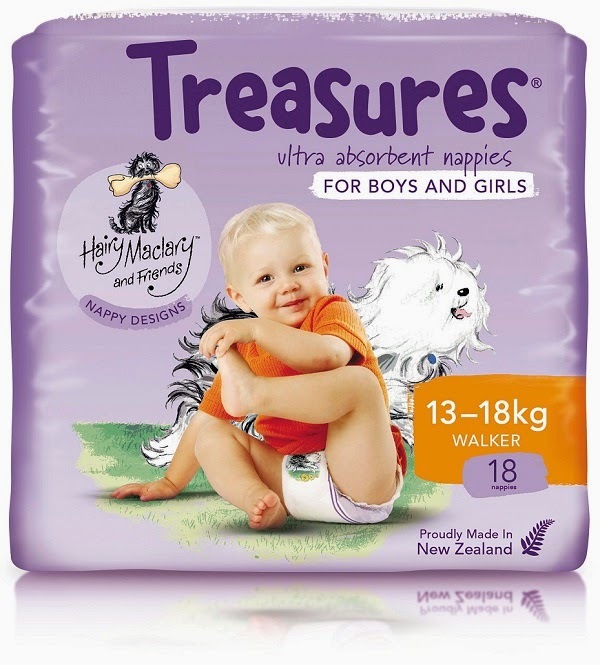 Never heard of Treasures Nappies? 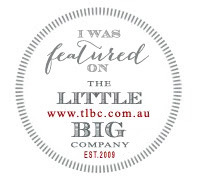 These nappies are the newbies in the Australian nappy scene, but have been a leading brand wrapped around babies bottoms in New Zealand for over 30 years - so that says something! In Australia you will find them at IGA stores. Now that I have two in nappies, not only am I dead poor (why are nappies so expensive?! ), I just don't have the time or the patience to mess around with brands that just don't work. Most days I feel like I am chained to that darn change table, so I don't want to make things any harder than they need to be with nappies that don't work. At 3 months old, I also have Miss C in a brilliant routine with her sleep (touch wood!) and we all know that a leaking nappy = grouchy Mum with a baby that wakes up overnight! Well I must admit I was pleasantly surprised at how absorbent these nappies actually were. 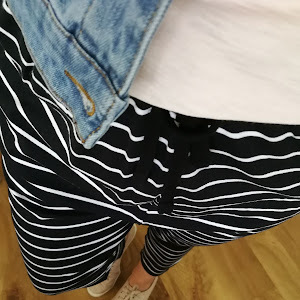 The nappy is light and has a great design with plenty of elastic around the waist area and no gapping in the wrong spots like some other brands out there that I have tried. These were comfy for both toddler and newborn alike and did not cause any irritation on the precious newborn skin of Miss C.
The design of the nappies is Hairy Maclary (super cute!) which Mr B loved, as he is an avid lover of the book series. The outside of the nappy feels a bit more papery than Huggies, but this doesn't seem to affect the effectiveness in the least. The big test was overnight and I was so pleased that when I woke up, no leaks, no wet bed and no disturbed sleep - winner in my books!! Price wise at around $9.95 a pop, they are much friendlier on the wallet than the other 'big' brand out there. It is nice to actually make a saving on the grocery bill each week with a product that works. Now for the exciting part - for one lucky Utterly Organised reader (Australia only), I have the chance to try these out for yourself. 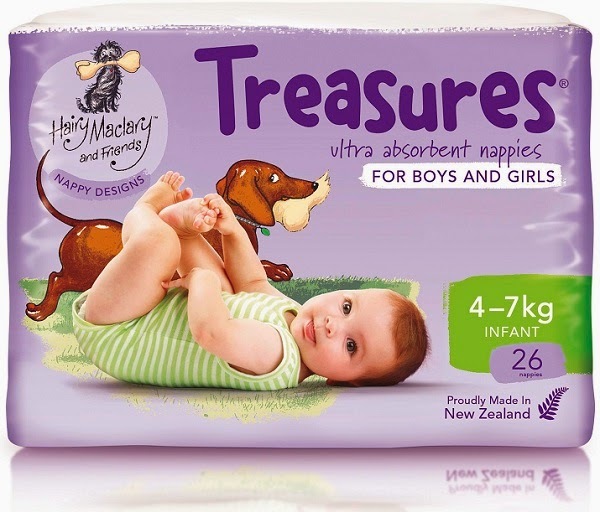 Treasures have kindly given me a super generous prize pack of 8 packs of nappies (in your choice of size) worth $74.00 to one very lucky reader. 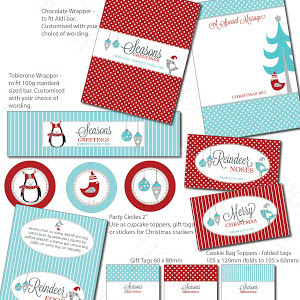 Gee imagine how nice your shopping bill would look for a change if you won! 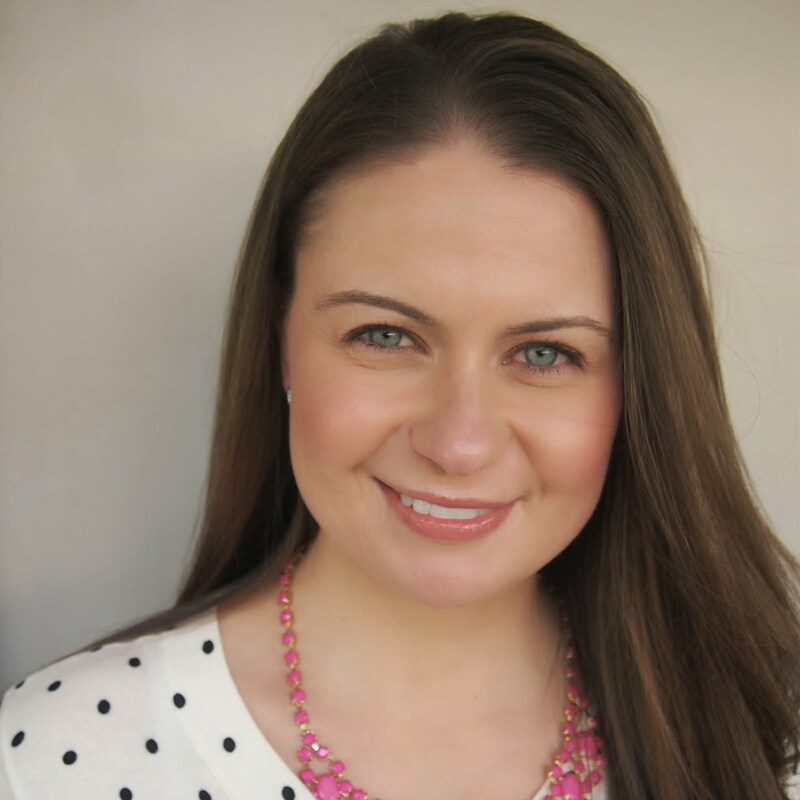 To enter simply follow the Rafflecopter prompts and pop me a blog comment below with your best tip on getting your little ones to sleep right through the night (one can dream right?!). You must also use the hashtag #SleepingTreasures in your comment below. Failure to do this will unfortunately result on your entry being invalid. Please note that the conditions of entry are mandatory and all entries are screened via Rafflecopter to ensure that all entries are complete. Using pixie dust is my personal favourite for ensuring children sleep through the night. I wish!! I do think you just have to be lucky, every child is so different, but you can help things along with calm before bed, little ones clean & dry and a full tum. I like to have a routine. Bath, bottle, book then bed seem to do the trick most of the time! I find heavy blankets help - not in summer of course, but on cold nights heavy blankets are really comforting. I got my #SleepingTreasures to go to sleep by just making sure that when they wake at night that everything is quiet and dark as possible, but not so compfortable that they want to stay up and play! I wrap my little one up, nice and tight! Some may not agree, but it works for me, I co-sleep with my boy, he's such a joy and sleeps the whole night through, he stays warm and snuggly and knows mummy is right there beside him. To go to sleep each and every night. And checked his nappy- it was dry! He cried, screamed and yes, did shout. It took a LONG time for me to work it out. Keeping him too warm was our mistake. Trust your intuition through and through. The fact is that it is difficult to say which one is better than the other. Both types of nappies have their distinct advantages and uses.